Thank you for taking an interest in the public education available within Guelph-Wellington. 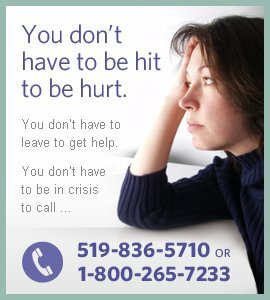 Guelph-Wellington Women in Crisis is dedicated to preventing abuse and violence. Public education promotes awareness and knowledge of issues of woman abuse and sexual violence; it helps to change attitudes to foster healthy relationships and builds a stronger community. We at G-W Women in Crisis appreciate every opportunity to share our expertise and experience with a variety of audiences, on numerous topics. All of our presentations are individualized for different audiences. Content and materials are made age appropriate and accessible. Similarly, G-W Women in Crisis can assure that academic lesson plans are designed to meet desired Ontario Curriculum expectations or specific program goals. G-W Women in Crisis works with a variety of audiences. G-W Women in Crisis presents on a variety of topics.